Exercises on visual poetry for Graphic Analysis class. We had to make a visual interpretation of a poem of our choice. 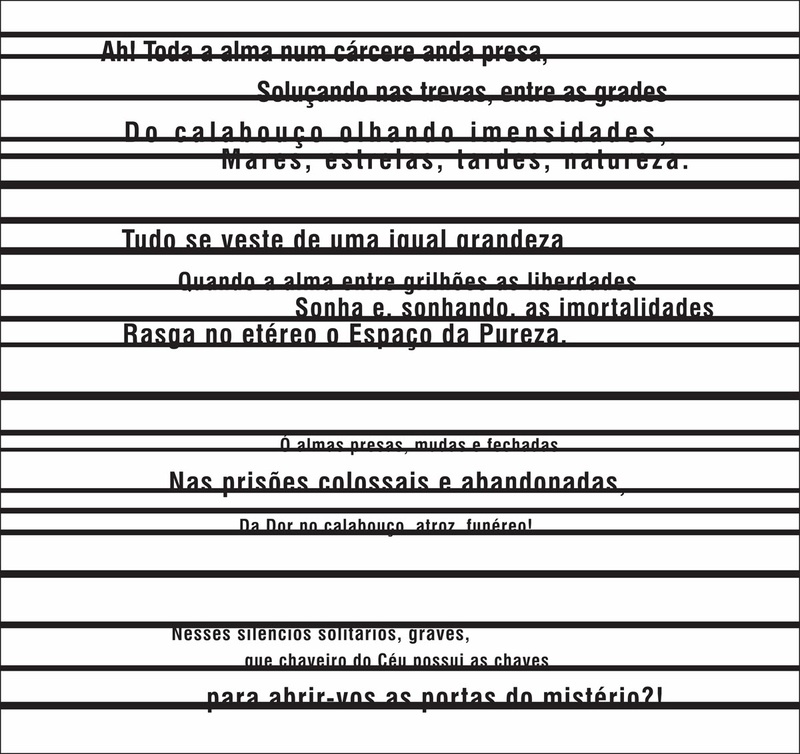 The poem is "Cárcere das almas" ("Prison of the souls"), by Cruz e Sousa.